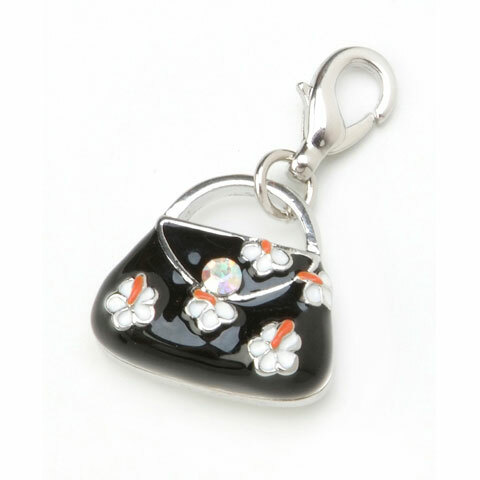 This is perfect for all the ladies, this floral pocket book or purse charm is super cute. The lobster style clasp, rhinestone adorned purse charm is metal with filled emamel colors. Size: 0.7" tall by 0.76" wide.